Ever heard of such a thing as an “open salary”? It’s among the edgy HR concepts that tend to congregate in the startups of Silicon Valley – the kind of companies that have positions like Social Media Guru and Sales Ninja. And it’s one of the concepts that web-developing company Buffer has taken to the extreme. Traditionally, an ‘open salary’ policy means that salary levels are calculated objectively and shared internally: every employee knows how much everyone else earns. Buffer CEO Joel Gascoigne took that idea one step further recently by publishing the salaries of each staff member on the company’s blog last week, with permission from staff. It turns out nobody at the company earns less than $70,000. 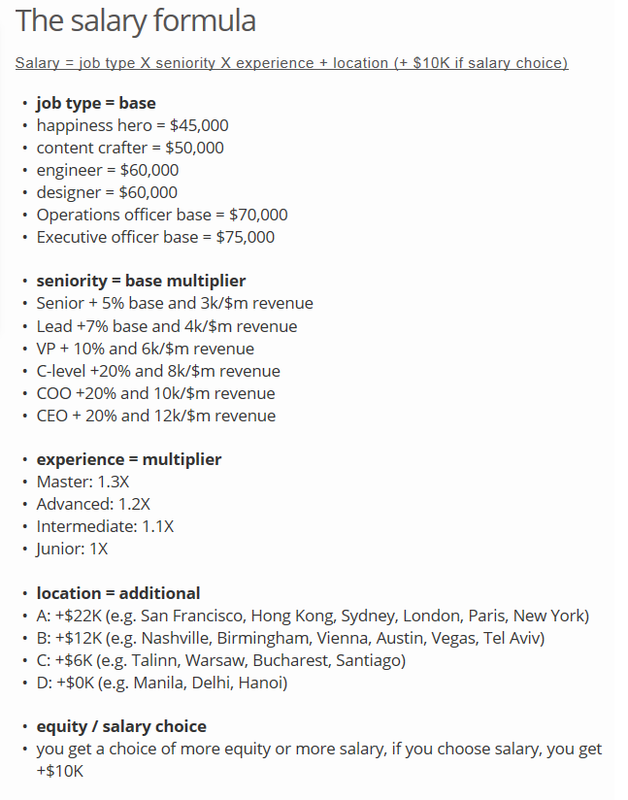 Buffer uses a salary formula that combines job type, seniority, experience, location and equity to determine pay for his company’s international team of 17. Salaries on the rise in 2014: Is your budget prepared?